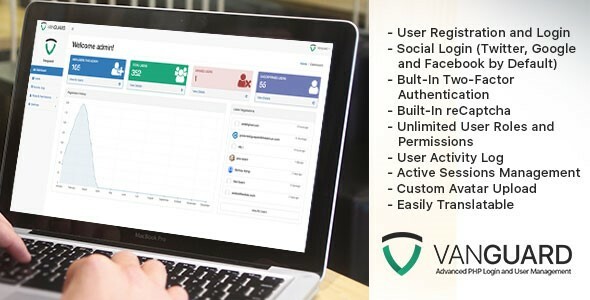 Vanguard - Advanced PHP Login and User Management - CODELISTPRO | Free Premium Scripts, Plugins, Apps Source Code. Vanguard is PHP application, written in Laravel PHP framework (version 5.3), that allows website owners to quickly add and enable authentication, authorisation and user management to their website. It is designed following latest security and code standards and it is ready for high availability websites. Although it is written in Laravel, it can be used to provide secure login, authentication, authorization and complete user management for any PHP powered website.